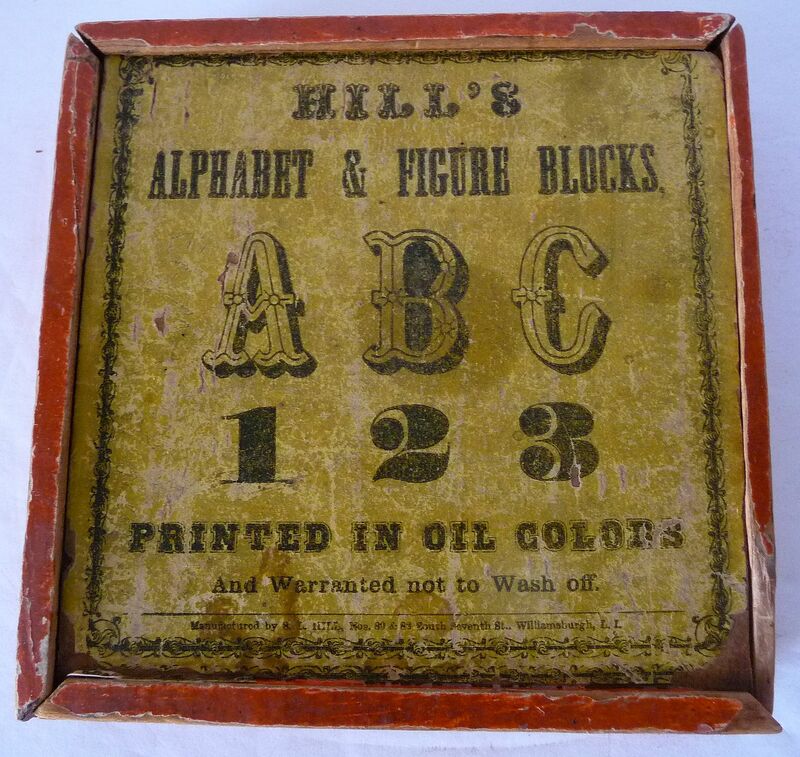 This complete set of 18 oil painted early wooden blocks comes in the original lithographed wooden box. 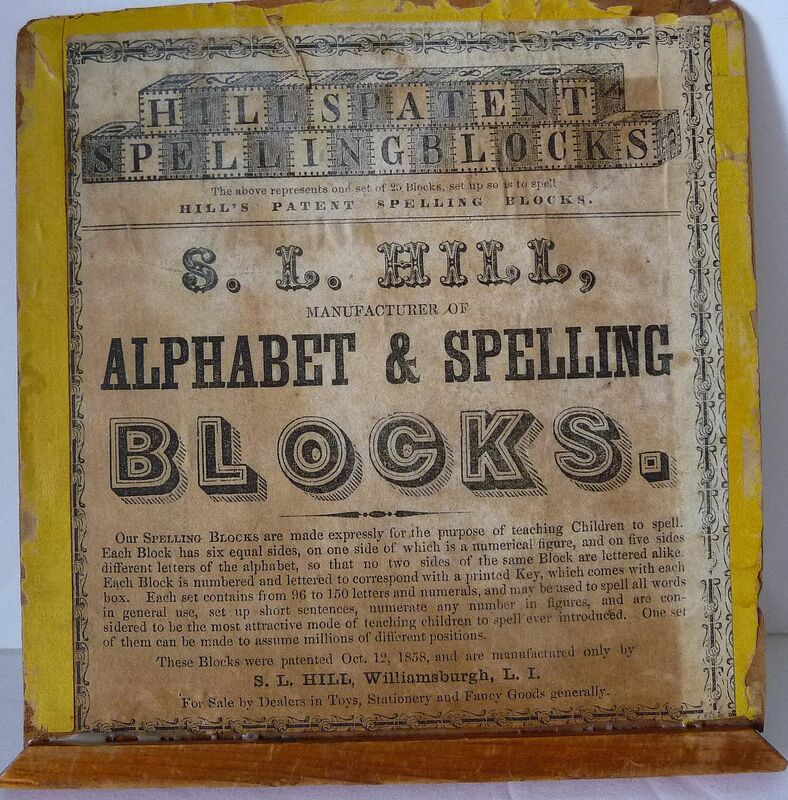 The blocks were made by S.L.Hill in Williamsburgh L.I. 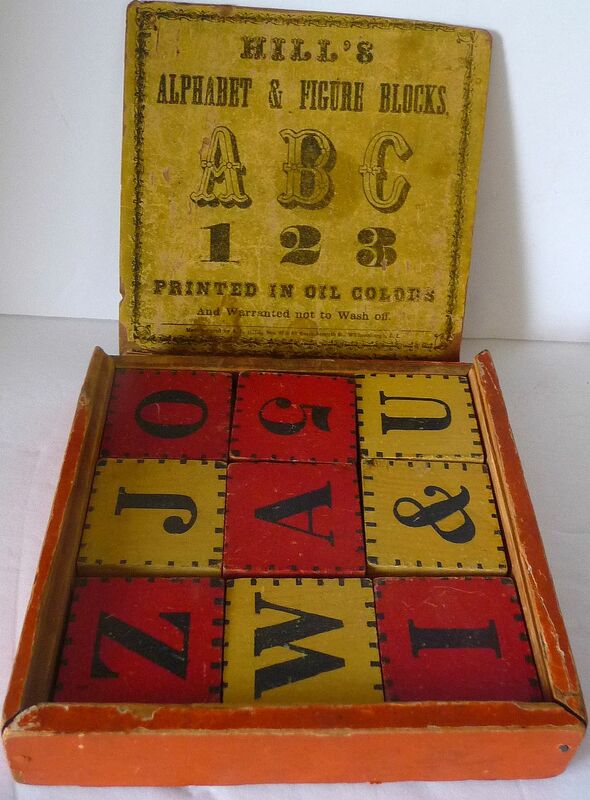 "for the purpose of teaching children to spell & count". 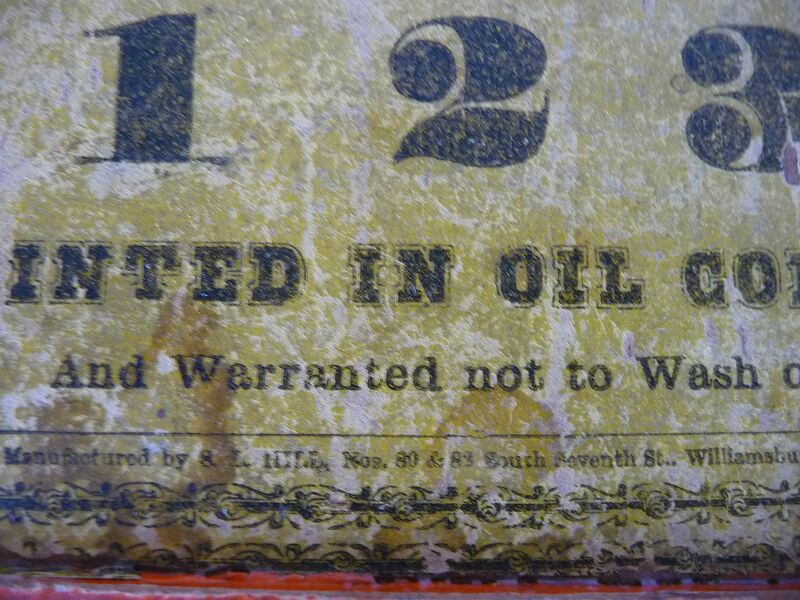 Inside the lid of the box it states "these blocks are Patented Oct.12, 1858". 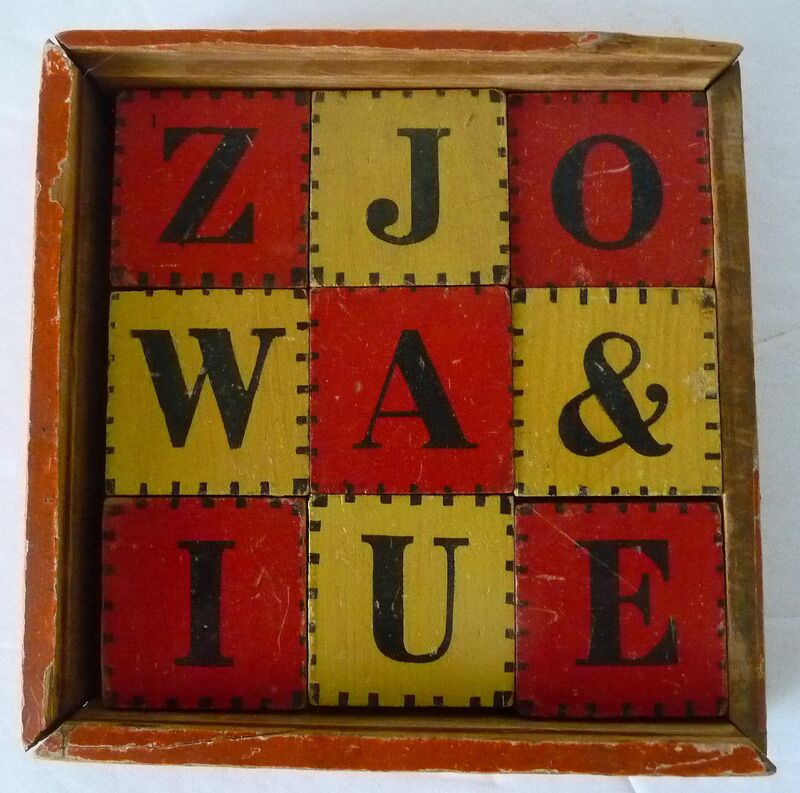 The 1 3/4" square blocks are a mix of red with black letters and cream with black letters and red or cream with black roman numerals. Approximate Dimensions of box: 6" square, height 1 1/4". 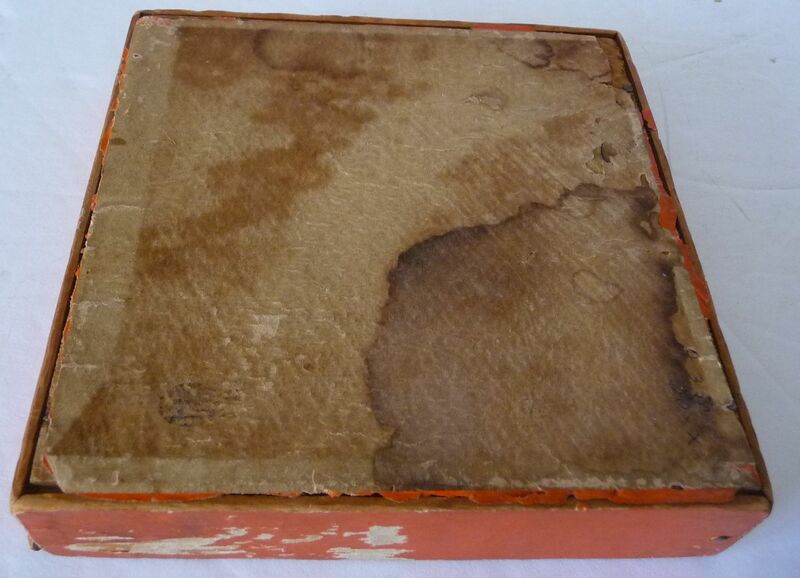 Condition: As found, the box top has a minor piece of side molding missing (see photos). 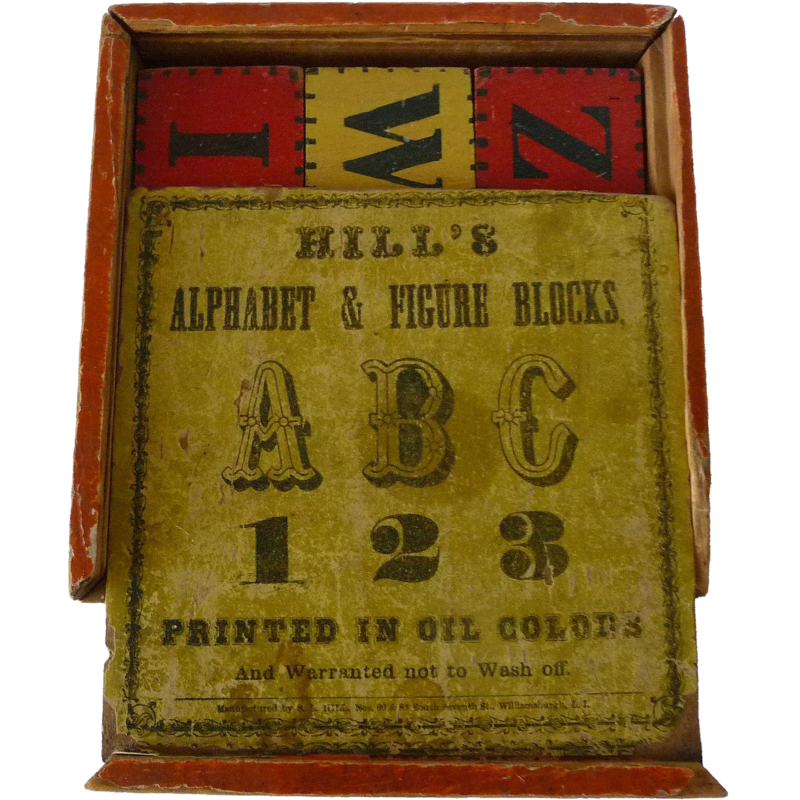 The top and inside lid of the box are lithograph paper over wood. No other damage, repairs or missing parts evident. 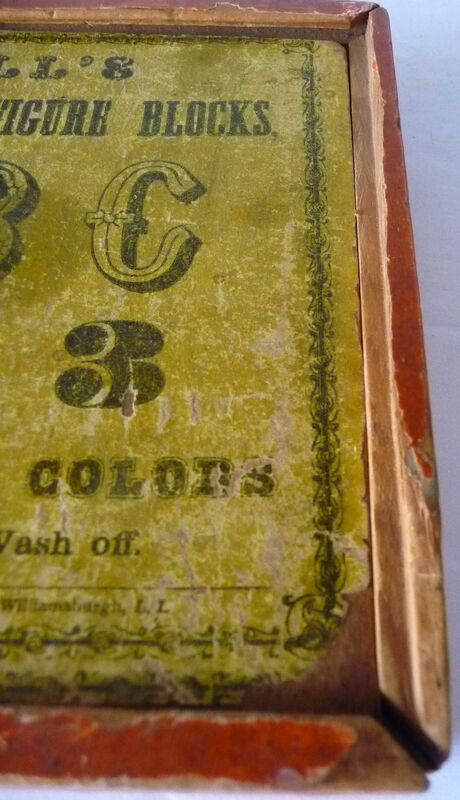 The base is stained (shown).